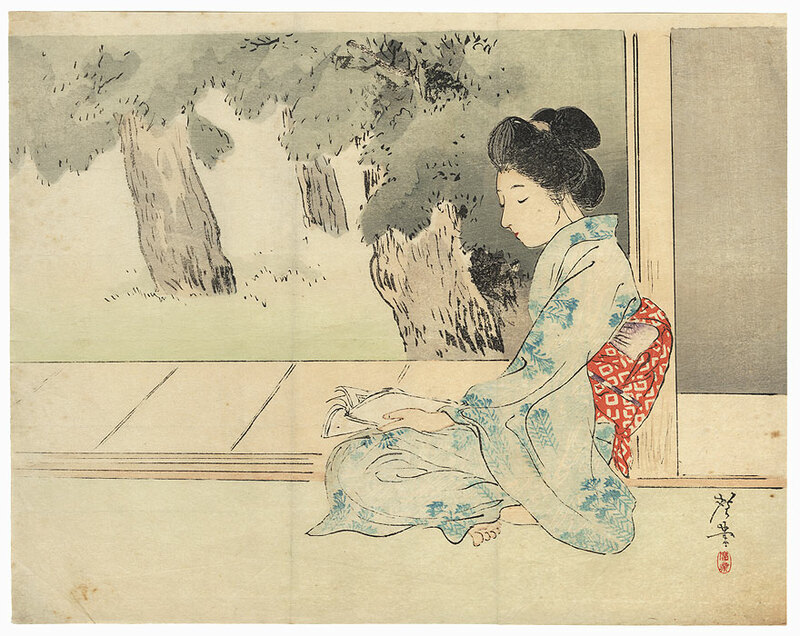 Comments - Lovely kuchi-e design of a beauty kneeling next to a verandah, absorbed in reading the book in her lap. 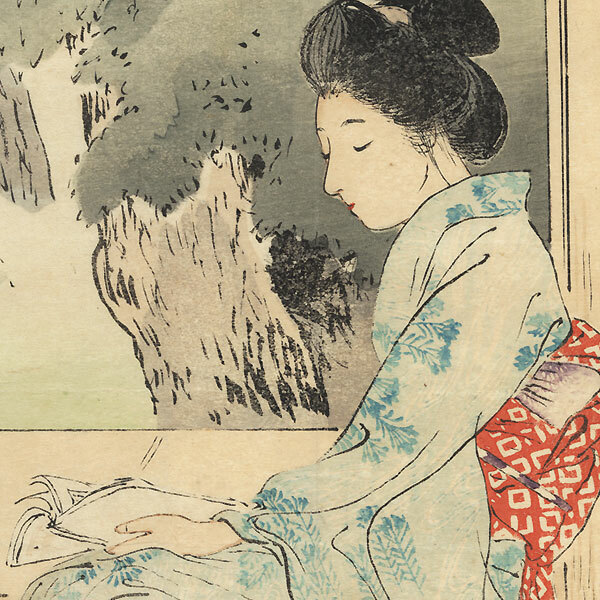 She wears an informal blue cotton kimono patterned with grasses and flowing water, tied with a red and white obi. 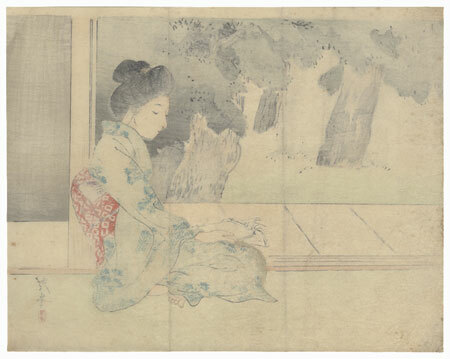 The verandah overlooks a garden filled with trees, the foliage rendered in soft tones of green and gray. A serene, attractive image.